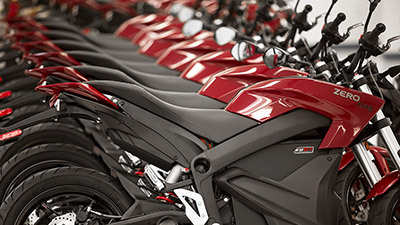 SANTA CRUZ, Calif., (Dec. 2, 2014) – Zero Motorcycles, the global leader in the electric motorcycle industry, announced today that it has entered full production of its 2015 model line. The new motorcycles are being manufactured at its expanded Scotts Valley, California facility by an increased number of technicians using state-of-the-art tools. The first shipments of motorcycles are now in transit, with all North American dealerships receiving the new models by the end of January. European delivery is scheduled for February 2015. The 2015 motorcycles rolling out of the California factory feature numerous advancements from their predecessors. Showa suspension improves comfort and control. Zero’s class-leading range—now up to 185 miles—is extended on most models. And, Zero becomes the first production electric motorcycle to feature anti-lock brakes (ABS). Initial production will be dedicated to motorcycles that will be used for test rides via Zero Motorcycles dealers. Interested riders can schedule a demo online at http://www.zeromotorcycles.com/demo-rides/.